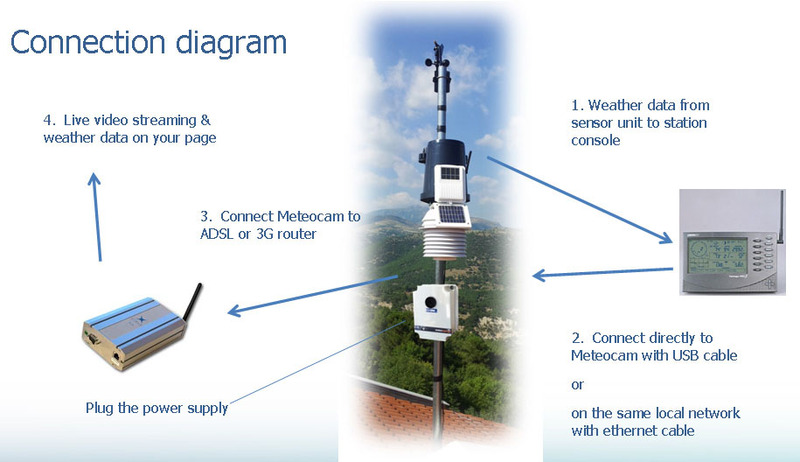 Davis Weatherlink support and Watson weather station, local storage of data and publish to a web server or locally to the camera's web server. Weather Email alerts when wind force or temperature or rain rate is greater than a given user value or when temperature drops from a given user value. For example, you get to know when wind got strong or when there is a near by fire or when rain started. 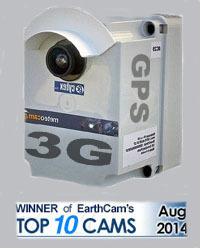 Cover your event live with a MeteoCam. High Definition Video depending on bandwidth and very good sound quality. Applications: Ports, marinas, windsurf clubs, kitesurf clubs, ski resorts, hotels, municipalities, traffic cam, events, concerts, shows, construction site cam, safety authorities.